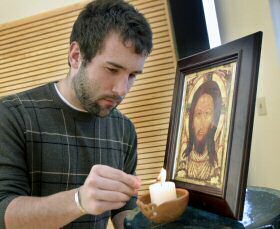 “Clearing Away the Barriers: Preaching to Young Adults Today” is an insight and very helpful address by Dominican Father Augustine DiNoia. 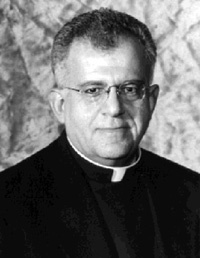 The Very Reverend J. Augustine DiNoia, O.P. is one of America’s most active and respected theological minds. In April 2002, the Pope John Paul II appointed Father DiNoia to work at the Vatican as undersecretary of the Congregation for the Doctrine of the Faith at the Vatican. The congregation oversees and promotes the doctrine on the faith and morals in the Catholic world. Until 2005, Father DiNoia served under Cardinal Joseph Ratzinger. Raised in New York, DiNoia is a member of the Province of St. Joseph of the Dominican friars. He earned a doctorate from Yale University in 1980. The Order of Friars Preachers granted him the master of sacred theology (S.T.M.) in 1998. · “The human being is to be respected and treated as a person from the moment of conception; and therefore from that same moment his rights as a person must be recognized, among which in the first place is the inviolable right of every innocent human being to life” (n. 4). · “The origin of human life has its authentic context in marriage and in the family, where it is generated through an act which expresses the reciprocal love between a man and a woman. Procreation which is truly responsible vis-à-vis the child to be born must be the fruit of marriage” (n. 6). The documentation is found here. The Catholic Information Service a booklet dealing with the topic of Stem Cell Research will also help clarify questions on what is possible and what is a violation of Christian ethics. Likewise, there is a booklet on the Church’s teaching on In Vitro Fertilization . 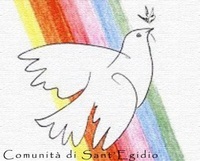 On November 21, Andrea Riccardi, the founder of the international Community of Sant’Egidio announced that the next international inter-religious encounter, in 2009, will be in Krakow, Poland, honoring the memory of the Servant of God Pope John Paul II and to recall the terrible tragedy of Auschwitz, where evil manifested its ugly face. World leaders, religious and political, have met for prayer periodically since 1986 when the landmark event was first lived in Assisi. The H2O News video report. The Community of Sant’Egidio has been in the United States since 1990, more info is found here. The Wiki article is here. I am happy to let you know of some recently published booklets concerning Catholic faith and Catholic life. These booklets reflect some of the work I did when I worked at the Catholic Information Service (CIS) at the Knights of Columbus. The booklets are free but you are asked to cover postage. You can email Michele at cis@kofc.org or call the CIS at 203-752-4267. Mention that you saw this ad on the Communio blog and that Paul Z. sent you. Saint Benedict for Busy Parents communicates the beautiful depth of the Rule of Saint Benedict to busy parents to help them in their vocation as mothers and fathers. Part of every parent’s responsibility is to teach the child about life and the faith. 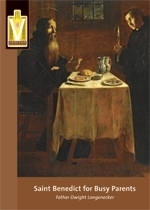 While the principles of the Rule of Saint Benedict is most often applied to those living in monasteries, the same principles provide a basic framework of practical spirituality for busy parents, indeed,, for all Christians in every age. Father Dwight Longenecker’s experience as a parent, priest, Benedictine Oblate and teacher shows the reader that God is at work to bring us to the abundant and full life that He promises to each of his sons and daughters. 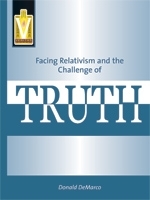 Dr. Donald DeMarco wrote Facing Relativism and the Challenge of Truth, to examine the philosophy of relativism and the nature of Truth, putting them in their proper order. He shows how “unworkable on a practical level and creates immense and unnecessary stumbling blocks in the path of education, democracy, and the implementation of the natural law. In fact, it contributes, significantly, to the Culture of Death.” Among the various philosophers and theologians he discusses, DeMarco uses Cardinal Joseph Ratzinger’s insight to shed light on this subject. Dominican Father Nicanor Austriaco, a Professor of Biology at Providence College, presents Understanding Stem Cell Research: Controversy and Promise in which he clearly deals with the controversial yet optimistic topic of stem cell research. 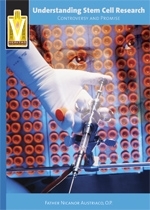 The objective of this booklet is to outline the reasons for hope and promise in the stem cell research and the reasons of great concern, indeed, the immorality of human embryonic stem cell research. Father Austriaco expounds on why the Church is not opposed to all forms of stem cell research but is opposed to human embryonic stem research because it “attacks and undermines the dignity of the human person….” This booklet is intelligent, accessible and well-worth the time to read in order to clearly understand a significant moral question of our era. Providence College Professor of Theology, Dr. Sandra T. Keating, authored What Catholics Should Know About Islam. to help non-Muslims develop a basic overview of the origins of the religion of Islam and its early history. 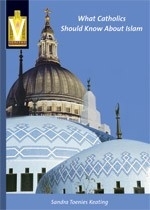 What this booklet offers the reader is a discussion on the central beliefs and practices of Muslims. Keating contextualizes her writing in recent statements made by the Roman Catholic Church concerning its relationship to Islam. The author puts forward what she understands to be fundamental in Islamic belief in contrast to Catholic doctrine. 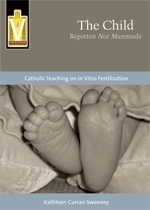 Kathleen Curran Sweeney examines the realities of the in vitro fertilization (IVF) process in The Child: Begotten, Not Manmade: Catholic Teaching on In Vitro Fertilization. The author takes the reader through the moral, theological and human issues, and the controversy that surround IVF. One can neither debate the pain of infertile couples who desire a child of their own nor resist the feelings of empathy for those who can’t bear children. The teaching of the Church is presented here in a clear fashion while reminding us of the need to respond with compassionate love. For more than 60 years the Knights Columbus has developed an ongoing program to learn the Catholic faith. The Catholic Information Service (CIS) to provide free Catholic publications for parishes, schools, retreat houses, military installations, correctional facilities, legislatures, the medical community, and for individuals who request them. CIS asks that the reader cover the costs of postage. Topics cover many of the key matters of Christian doctrine and life.